Divers from Kuredu had a fantastic full-day, diving the reefs of Noon Atoll; the dives were amazing but the trip back to was incredible – the group were able to snorkel with pilot whales! The ocean, however, had other plans! 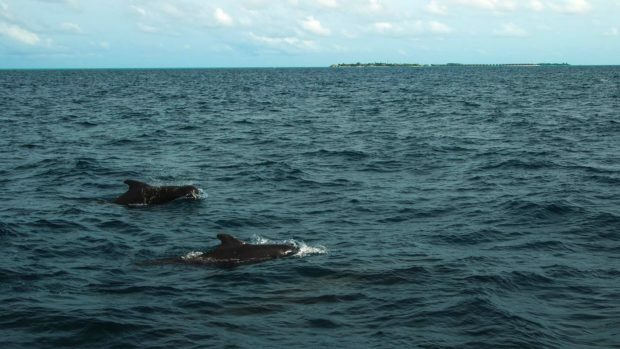 As the dhoni neared Kuredu, the instructor spotted something in the water and at first it was thought to be dolphins but as the boat got closer it was clear they were not dolphins but pilot whales. 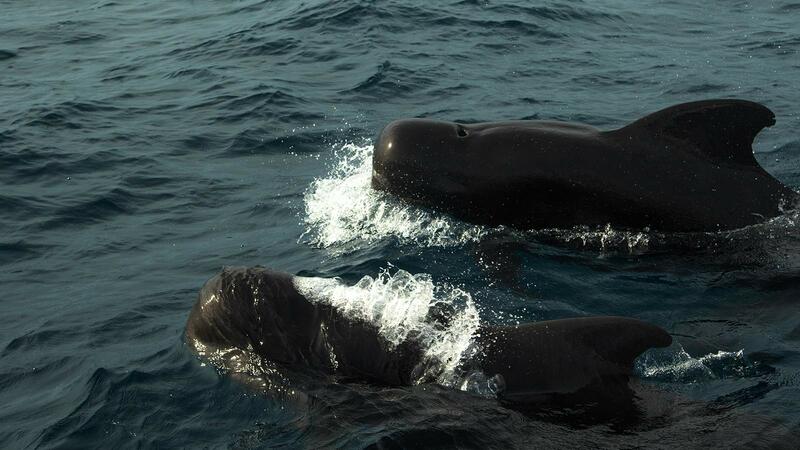 Pilot whales are cetaceans which belong to the oceanic dolphin family, they feed mainly on squid and fish. They have strong social bonds and remain in their birth pod for life. Pilot whales are the second largest of the oceanic dolphins, surpassed in size only by the orca. The pilot whales seen were super friendly and inquisitive, coming very close to the boat, staying for 10-15 minutes. 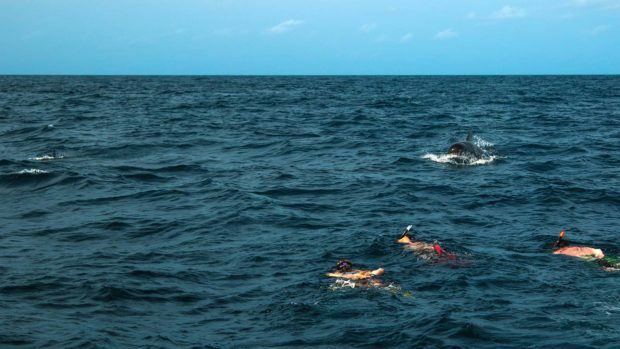 The opportunity for snorkelling with them was too much to resist so the group jumped in just ahead of the pilot whales for a closer look and were rewarded with sights of them diving down underneath them. It was a moment to remember, a definite ‘WOW’ ending to the perfect dive trip.